We moved in 1981 and I began lessons at The Talland School of Equitation age 10 and quickly joined their Saturday gang of Pony helpers. After five years of very early starts and late finishes on every spare day I had, I decided I wanted to train for my BHS AI and event from Talland when I left school. I was awarded a scholarship to train by the Cotswold District Council and gained my BHS AI by the time I was 17. I went on to train many students for their AI and underode for Gerry Sinnott (ex-Irish Olympic rider) until Pammy Hutton decided I was capable enough to compete her horses both eventing and dressage. 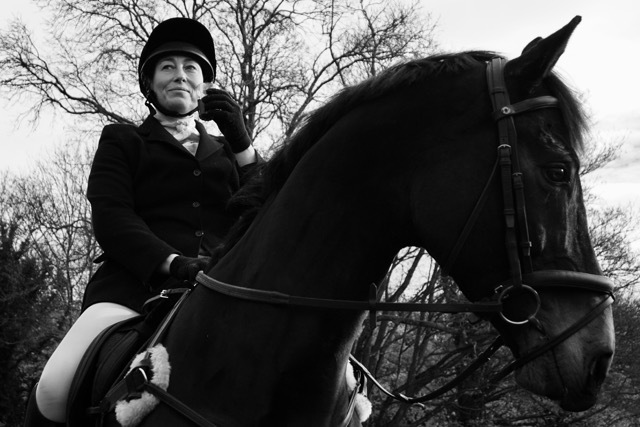 I learned to event from novice to advanced and competed at dressage to advanced and even had my amateur jockey licence for point-to-pointing. I was head girl for Competition Yard and learned a wide range of skills. I was lucky enough to groom at Badminton and other International events and was responsible for the dressage and fittening of several of the Advanced Event horses eventually being able to compete them myself. I trained most of the BHSAI and BHSII students for their exams and perfected many teaching skills. Talland gave me an amazing grounding in the late 1980s and early 90s and I am always grateful for the opportunities I was given. I left Talland in 1991 and achieved my BHS II and went on to run John Sheddens (1st man to win Badminton) yard in Chedworth and produce his youngstock for racing and event his three event horses. Sadly after a few years Mr. Shedden passed but I was fortunate to be able to take on his yard and develop it as my own. I kept the Greenhill name which was the prefix for the Shedden horses for my yard as I was always grateful for the chance to run my own business given to me by the Shedden estate. I had many happy years in Chedworth but when the lease expired I had to move or lose the business. At the age of 30 I had several event horses and more liveries and teaching clients than I knew what to do with so moved into new premises in Cirencester Park. We have been in Daglingworth since 2001 and do not expect to leave for many more happy years. I am producing horses, clients and students for competition and exams.